If your family was a band, you’d be the manager. If they were an army, you’d be the general. You’re the one who keeps everything organized and makes sure everyone is taken care of, and of course that includes their teeth. It’s such a pain to drive everyone to their own dentist, but they need the treatments only they can provide. Isn’t there a doctor in your area that can just treat everyone? Fortunately, your family dentist in Mesquite, Dr. Byron McKnight, can do exactly that. His practice is the “one-stop shop” for Mesquite families, and today, we’re going to share all the things you can expect whenever you bring someone in for a visit. Personalized Care: To us, you’re not just a set of teeth. You’ll be greeted as soon as you walk in the door, and we’ll do everything to make sure you’re looked after your entire visit. We don’t simply want to be your dentist’s office, we want to become your dental home. All Ages Welcome: Whether it’s an adorable child or a wise grandparent, we’ll be able to give them the treatment that they need. Restorative Dentistry: Have a broken, damaged, or missing tooth that needs to be restored? Whether it is one tooth or an entire arch, we can take care of it. Cosmetic Dentistry: Want to feel great every time you look in the mirror? A quick and easy treatment can help your smile look better than it ever has before. Sedation Dentistry: Are you nervous about going to the dentist? We completely understand, and our variety of sedation techniques can help make your next dental visit the easiest, most painless experience you’ve ever had. Invisalign: Want to get straighter teeth without having a mouthful of metal? Invisalign provides an effective, discreet orthodontic treatment that is perfect for adults and image conscious teens alike. Dental Implants: We can help you fill the gaps in your smile with the most complete and reliable solution available today, dental implants. Snoring and Sleep Apnea Treatment: Sleep is an essential part of your mental and physical health, and if someone in your family snores or suffers from sleep apnea, we can help them get treatment and rest peacefully. Being able to get this breadth of services in one place has a benefit that probably jumps out at you immediately: you save time. You don’t have to bounce between different dental offices trying to get all of the treatments and services that your family needs, saving you countless hours in the car. Plus, since everyone is getting taken care of by the same dentist in Mesquite, you know that you’ll be able to rely on the quality of their care. This helps build a trust with your doctor that will make visiting the dentist much easier in the future. By having all of these services available in your area, we help make your busy life just a little bit simpler. 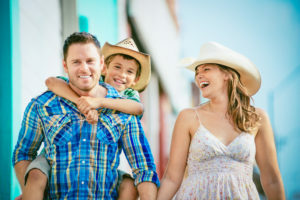 Dr. McKnight is proud to provide the one-stop dental practice that Mesquite residents need, and help you have peace of mind when it comes to you and your family’s teeth. If you’d like to know more about all of the services we offer, where to find us, or want to schedule an appointment, please give us a call today.